Allergies which are seasonal also known as hay fever or allergic rhinitis. This allergies are of three types namely Respiratory allergies (caused by airborne allergens like dust, pollen, etc), Food allergies (caused by reaction to certain food items) and contact allergies (caused by skin’s reaction with certain metals, fragrances). Allergies are caused when the immune system reacts abnormally to certain stimuli (allergens) by releasing the histamines. These will cause itchy, watery eyes, runny nose, sinus drainage, scratchy throat, difficulty in breathing, hives, rashes, etc. are the symptoms of this allergies. Spring season is the main base for this seasonal allergies rather than any other season. 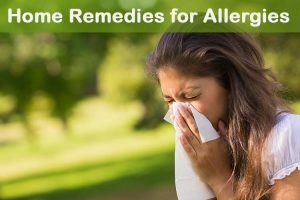 So, try these remedies and tips to prevent the allergies and its symptoms in the coming seasons. Spring is the main season to cause you the allergies. But now you don’t have to run to the drug store to buy an over the counter medication to get relief from the allergy and its symptoms. Try these home remedies to get relief from the allergies and its symptoms. Neti pots are one of the best remedy to cure natural allergies. This will rinse your nasal cavity with a sterile saline solution which will flushes out the allergies and loosens your mucus. First of all prepare the saline solution by taking a teaspoon of salt, a pinch of baking soda and mix it well in a glass of warm water (distilled water but not tap water). Saline solution is ready to use. Then pour this solution in a neti pot. Now go to wash basin and tilt your head to one side and pour the solution in one nostril. Allow the solution to come out from other nostril by taking the breath from your mouth. Repeat the same for the other nostril also. Make sure that it should be done properly otherwise it can lead to another problem. Repeated process for at least once in a week will give relief from the upper respiratory system. Steam will give relief from the natural allergies as it flush out the mucus and moisten the dry nasal passages. It will instant relief from the cold and sinus infections also. Boil the water for few minutes and pour this boiling water into a bowl or container (whichever is comfortable to you). Take a towel and drape it over your head. Make sure you have to cover the towel in such a way that the air has no space to escape from it. Then deeply inhale through your nose for about 5 – 10 minutes. This remedy will be followed every time whenever you’re suffering from the allergies. Apple cider vinegar has the ability to reduce the mucous production and cleanse the lymphatic system which is useful for allergies. Take a teaspoon of organic, unfiltered apple cider vinegar with the Mother. Drink this thrice a day to get instant relief from the allergy and its symptoms. Repeat the remedy whenever you suffer from the allergies caused by seasonal and other allergies. Nestle leaf is one of the remedy which has natural antihistamine; this naturally blocks the body’s ability to produce histamine (causes the allergies). You can use this either in the form of tincture or tea or capsule or dried nettle leaf. You can simply have a herbal tea with the combination of this nettle leaf. Take Nettle leaf, Alfalfa leaf, Peppermint in equal quantity of one part. Blend all these dried herbs to make a fine powder. Then take 3/4 cup or more in a large glass jar and you have to fill it with boiling water. Leave it for overnight and strain it early in the morning. Drink this tea to get rid of the allergies and its symptoms. This carrot, beetroot and cucumber juice will helps to reduce the allergic reaction and also soothes the existing allergies. Have this juice once every day will slowly control the allergies. Lemon contains antibiotics and anti allergic properties which helps to flush out the toxins from the body and give relief from the allergies. Honey will help to soothe the allergies and its reactions. Take a glass of lukewarm water and squeeze the half lemon to extract the juice. Mix it in a glass of warm water by adding a teaspoon of honey in it. Drink this on an empty stomach. Turmeric is a great home remedy for allergies as it is a spice commonly used in the curries contains curcumin, which acts as decongestant helps to reduce allergy and its symptoms. Cook your food by adding this turmeric in your curries. Add turmeric to your daily diet plan. Eucalyptus oil has anti-inflammatory and anti bacterial properties which helps to open up your sinuses and nasal passages. Inhale this to get relief from the respiratory system. Or you can simply add few drops of oil into the water which you are going to take shower. But remember that not to shallow this oil or apply it on the skin directly, it is toxic in nature. Repeat the remedy if necessary to get relief from the allergies. Taking organic raw honey every day will helps you to get relief from the allergies as bees transfer pollen from flower blossoms to honey. Eat a teaspoon of pollen laced honey everyday to ease from the symptoms of allergy and at last give relief from allergies. Eating original honey produced from bees (near where they live) will help you to get rid of the allergy. Probiotics are known as good bacteria which plays an important role in balancing your immune system by better digestion. Probiotics are rich in plain yogurt. So, eat the yogurt everyday to ease from the allergy and its symptoms. Eat yogurt by choosing the brands that contain lactobacillus rhamnosus GG, bifid bacterium lactis and acidophilus. Fish oil supplements have lower levels of leukotrienes, chemicals which contribute to the allergic reaction. So, take a fish oil supplement daily in your diet to get rid of the allergies. Or you can simply eat fish which contains omega3 fatty acids to prevent the natural allergies. Quercetin is a natural bioflavonoid that helps to stabilize mast cells and helps to block the release of histamine which causes inflammation. These are available naturally in foods such as citrus fruits, broccoli, etc. It is very hard to get the required amount from food. So, it’s better to take it as a supplementary through some medications. 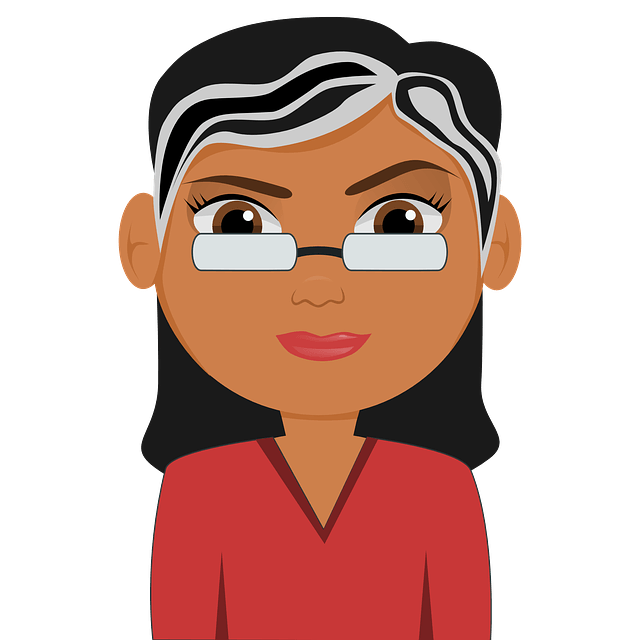 Remember that you have to take the advice of your medical practitioner if you’re pregnant or having liver problem, or on hormonal contraceptive etc. as it cause any other health problem. Acupuncture helps to get relief from the hay fever and allergies. Research says that the people who had a dozen acupuncture session has got relief from the allergy symptoms and also used very less antihistamine medication than those people who didn’t take this acupuncture. Acupuncture curbs inflammatory immune system substance involved in allergic reactions. High Efficiency Particulate Air (HEPA) filters will helps to ease the symptoms of allergy by trapping allergens and other airborne irritants like dust, pet dander, pollution etc. it will purify the air in your bedroom and other places when these HEPA filters are incorporated in the whole house. These filters will remove the moisture from the air, which helps for the growth of the mold and mildew to worsen the allergies. Or you can also use air conditioners and dehumidifiers to clean the air in your house. Diet will have an impact on many of our health problems. Planning a diet will help us to get relief from health problems. Here are some foods which have anti allergic properties. Take the food which contains Vitamin E like whole grains, dark leafy vegetables, egg yolks, etc. Include the food which contains omega -3 fatty acid or EPA which are available in oily fish like salmon, menhaden, herring, mackerel, cod etc. to get rid of the allergies. Have spirulina which also contains eicosapentaenoic acid or EPA in your diet. Eat pineapple which contains anti inflammatory enzyme called bromelain and also take papaya as it contains papain which heals the allergic reactions. Have your diet which is low in omega-6 fatty acids. Have the food which contains vitamin C, vitamin B5, zinc, cod liver oil to get rid of the allergies. Drinking plenty of water will helps to thin secretion and helps them clear from the nose. Avoid smoking and drinking alcohol which will increase the problem. Here are some of the effective tips which helps you in curing this allergies. Have a look on it and follow these to reduce and to prevent in future. Wash your hands before eating any food and also whenever you go outside or even use hand sanitizer. Taking a hot shower will gives you relief from the spring time allergies. It will soothe the sinuses and clears your nasal passages. Especially it helps to prevent the spread of this allergy to others, so immediately take a shower after you come from outside even after gardening also. Always have a wide brimmed hat and sunglasses, as it helps to keep the pollen from blowing into your eyes and make them itchy, watery mess. Always change your clothes whenever you come home from outside why because you spend time in the outdoors on windy, sunny, pollen infections that will settle in your clothes and shoes. So, it’s better to change your clothes immediately and you feel good if you taken shower. Use the appliances which has HEPA filters and use the humidifier or air conditioner which ease the allergy symptoms. Every year you have to change your car cabin air filter otherwise the old filters can blast pollen into your face. Take your medications for hay fever and other allergic symptoms in the night bedtime rather than morning to get better relief from the allergy. If it is severe, then take the advice of the doctor. You can also try butter bur in supplement form but make sure that not to eat the raw or unprocessed root which is dangerous. Wash your pets regularly to avoid the allergies as animal dander will also contribute to allergy attacks. However, severe allergies are to be treated by the medical professional if not it can lead to any other health problem. But don’t worry about medium and mild cases (like Seasonal allergies), as there are many home remedies and tips listed above will give you relief from the allergies and makes you feel happy.